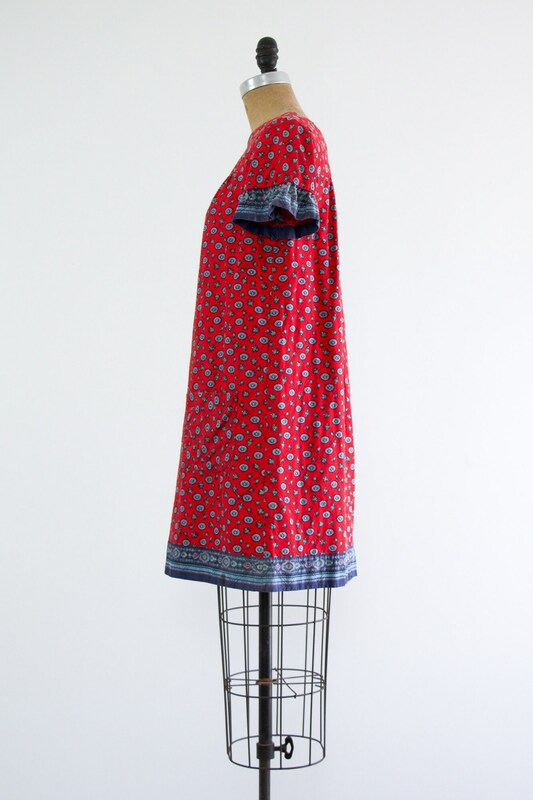 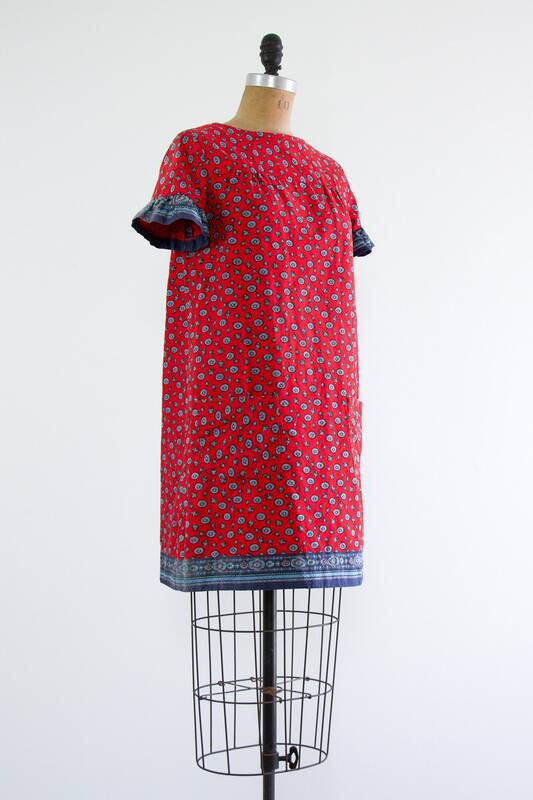 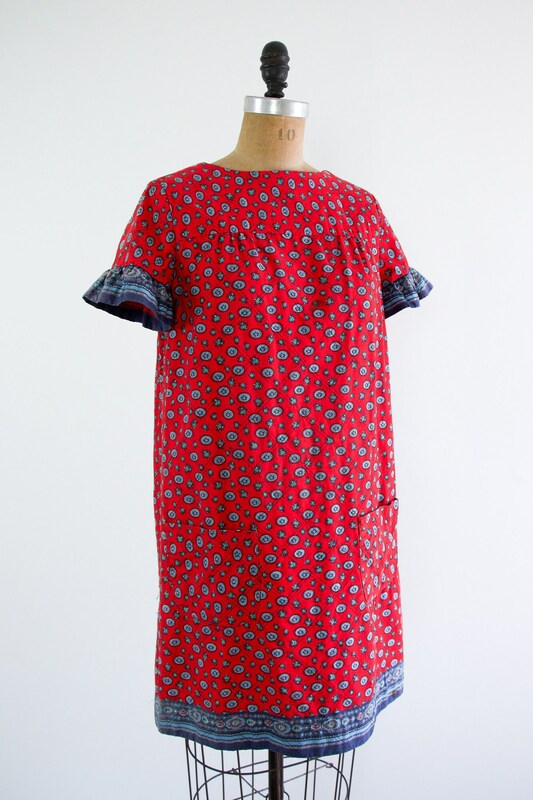 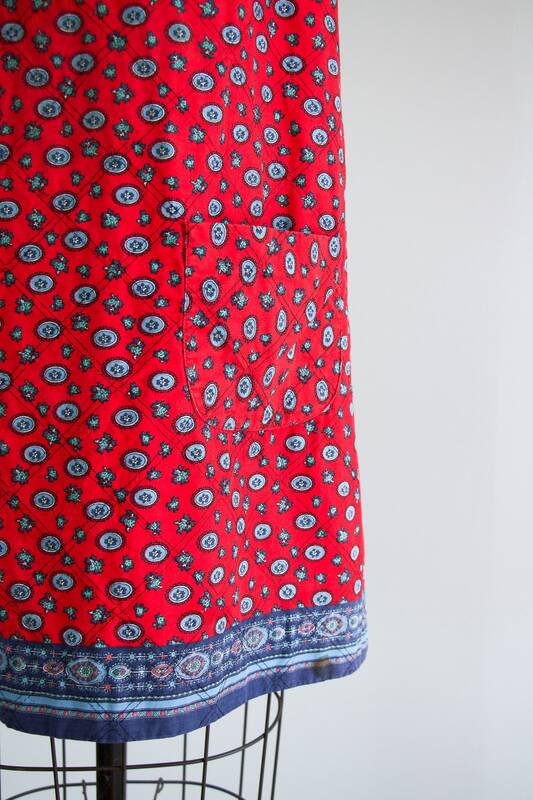 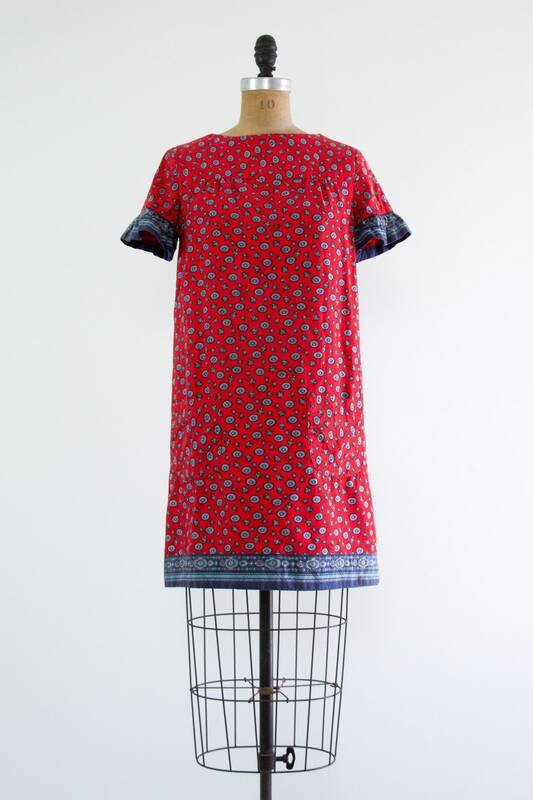 Vintage red 70s dress. 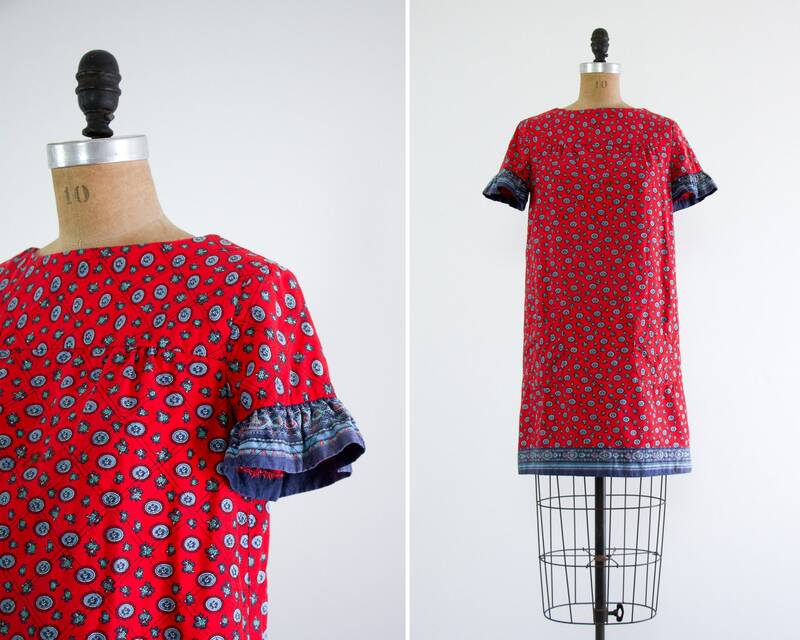 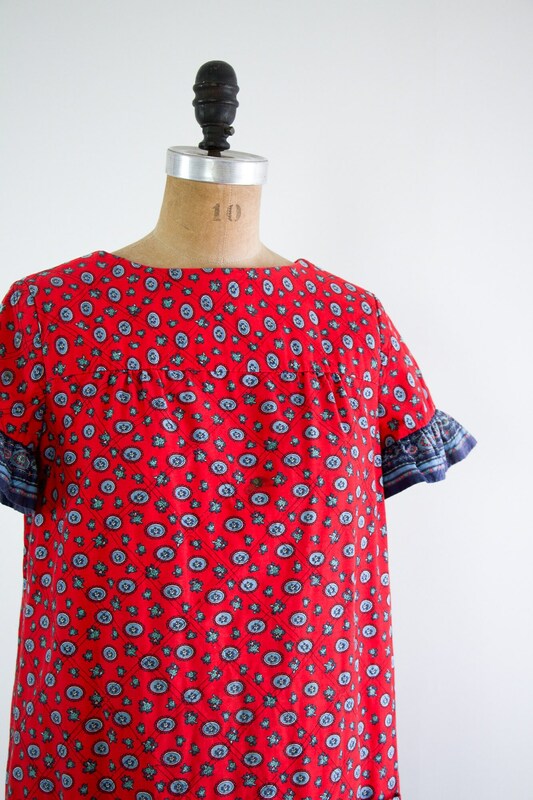 Quilted shift dress made from a dainty cotton medallion print with blue trim. 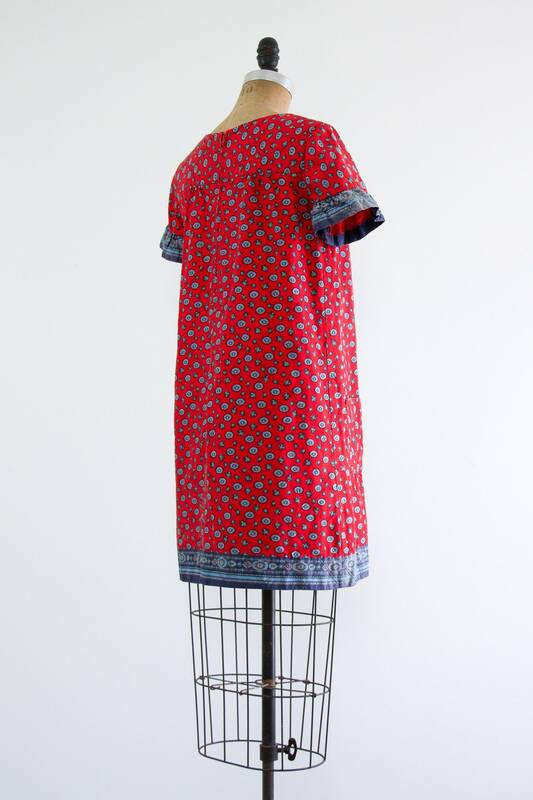 The entire dress is quilted. 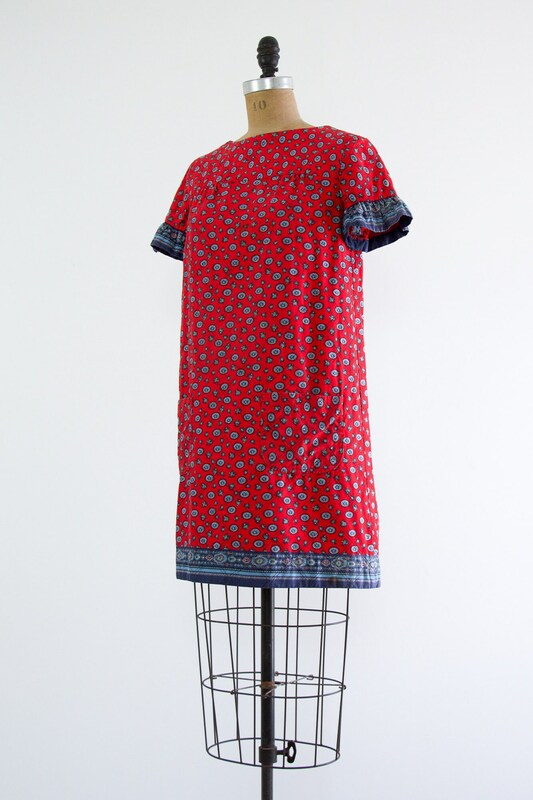 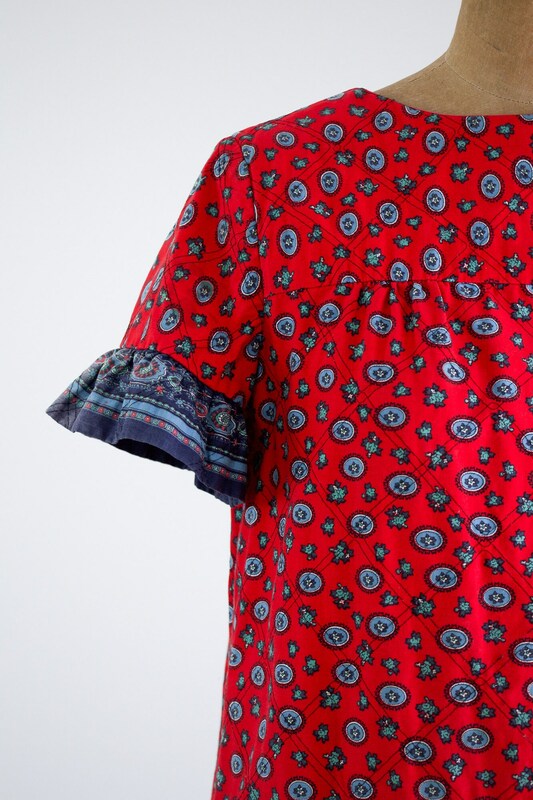 Has short sleeves with ruffle detail, large patch pockets, and a zipper down the back with hook & eye closure.